Round the Table, LLC - Get Involved. Make Friends. Enjoy Motherhood. A MOD Moms Business. 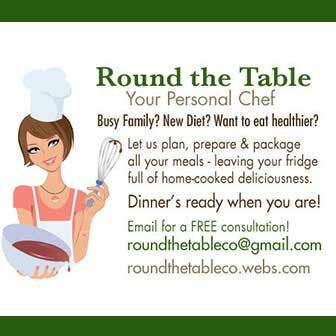 Round the Table Wellness looks forward to being your source for health solutions. We offer Organic Freezer Meal Workshops where we prep 10 meals in 2 hours.